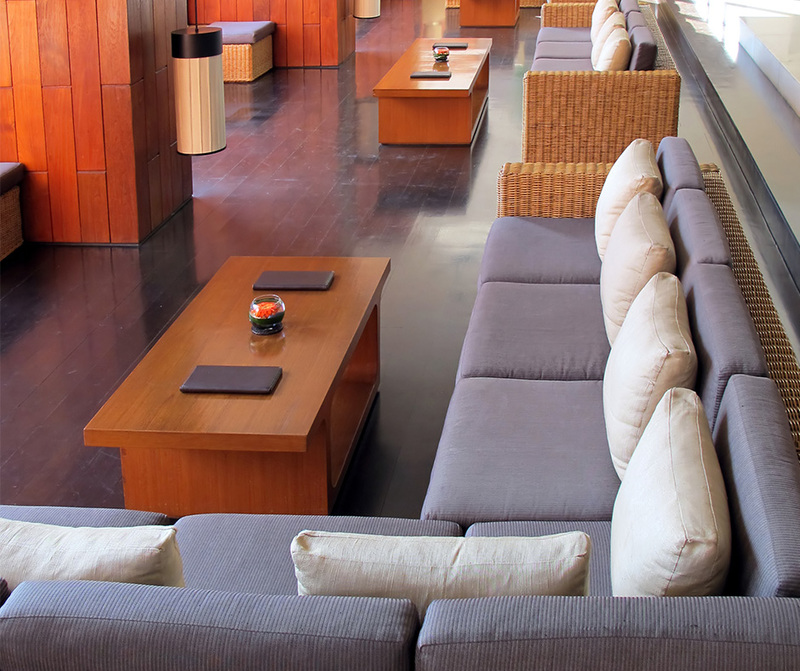 Business upholstery cleaning services for all types of fabrics, textures, or blends of material. Common upholstery items cleaned: couches, chairs, cubicles, fabric panels, partitions, pews, seat cushions, sofas, and more. Our upholstery experts easily identify the best process & method based on the type and condition of the upholstery. We remove as much soil, dust, and stains possible. Trying DIY upholstery cleaning can be a challenge because you have to identify fabric type, texture, and blend. You also need knowledge of the correct cleaning method to use. If the general cleaning staff is deep-cleaning upholstered items, it may result in damages like discoloration, color bleeding, or shrinkage. 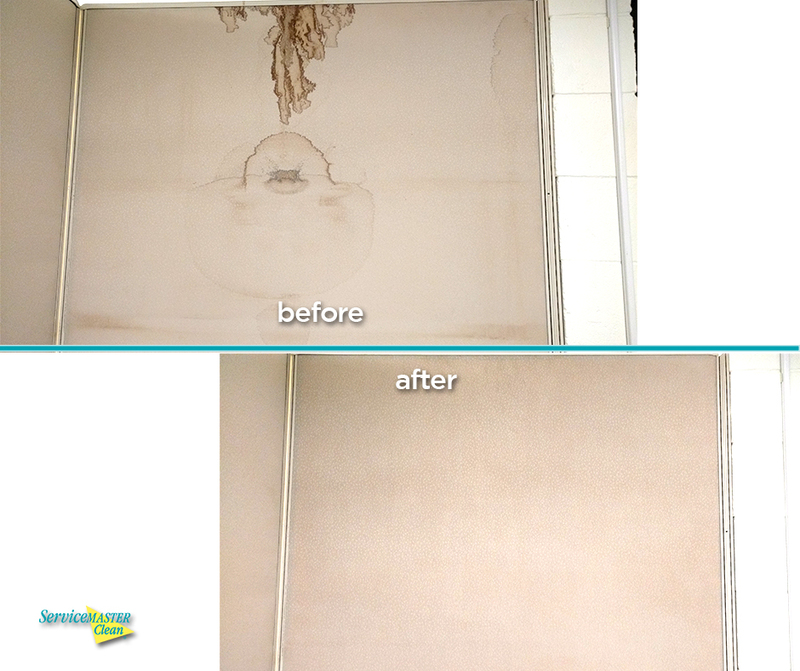 This before-and-after image is a great example of a successful clean because they called us instead of trying to clean it themselves. Our extraction processes are far superior to any DIY you could perform. Plus, after the creative DIY doesn’t work like you want, the likelihood of us removing the stain has significantly decreased. Our best upholstery cleaning methods ensure the deepest clean. We offer free, exact quotes and convenient consultation. Scheduling is flexible and simple. Provide tips for caring and maintaining your upholstery. Receive an on-site inspection afterward, ensuring customer satisfaction. For program work customers, we offer spot cleaning in between scheduled cleanings. We identify & clean all types of upholstery. Step 1: Our manager will come to your facility at your convenience to inspect the upholstered items. He will then provide you with a free, exact quote. Step 2: A technician will come out at the scheduled time and will begin pre-treating spots and stains using non-toxic proprietary cleaning products. Step 3: The upholstery is then thoroughly rinsed using high-performance truck-mounts or portable equipment. This rinsing process is important because it balances the pH and removes the cleaning solution. Step 4: If spots still remain, our technicians will use different techniques to attempt removing them. Step 5: Our manager will stop by the next day to ensure customer satisfaction and quality. When your upholstery is kept clean, people feel welcome and valued. Competitive upholstery cleaning pricing with better results! 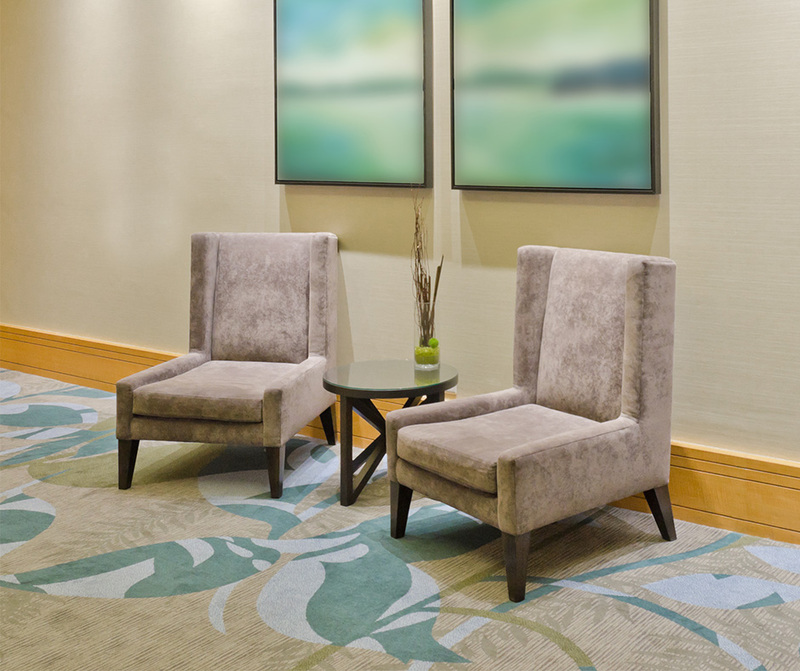 Clean upholstery and flooring instantly creates a welcoming and inviting space. If the furniture is dingy, soiled, or stained, a lack of care is perceived. Let us dazzle you with our commercial cleaning services. Get a FREE bottle of our carpet and upholstery spot cleaner for in between cleanings. You just have to ask. Schedule Your Free Upholstery Cleaning Estimate Today!